Police cars stand outside the corporate headquarters of Deutsche Bank on November 29, 2018 in Frankfurt, Germany. German law enforcement and tax authorities continued to raid the offices Friday, reportedly over suspicions of tax evasion and money laundering. German authorities are continuing to search offices of Deutsche Bank as part of an investigation into suspicion that some employees helped set up offshore companies that were used to launder hundreds of millions of euros. 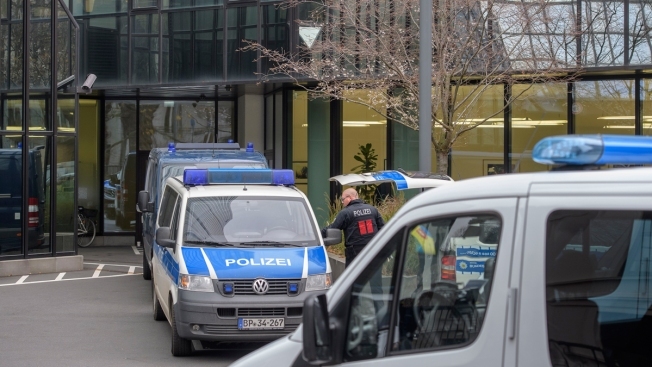 The Frankfurt prosecutors' office told the dpa news agency Friday that additional materials were being secured in the second day of the raids. On Thursday, about 170 police officers, prosecutors and others searched through the bank's headquarters in Frankfurt and buildings in nearby areas, seizing electronic and paper records. Prosecutors say information from analysis of documents leaked from tax havens in recent years, including the 2016 "Panama Papers," prompted their investigation. What Are the 'Paradise Papers'? A trove of leaked documents known as the "Paradise Papers" have brought to light the ways wealthy individuals and government officials attempt to avoid taxes and financial transparency. The papers reveal that Wilbur Ross, the United States Secretary of Commerce, maintains a financial stake in a shipping company that does major business with a Russian energy company run in part by Putin's son-in-law even after Ross claimed to have divested all interest in the company at his confirmation hearing. Two employees, aged 50 and 46, are currently under investigation for allegedly failing to report suspicious transactions but prosecutors say the investigation could broaden. In a statement issued Thursday, Deutsche Bank confirmed the search and said "the investigation has to do with the Panama Papers case." "More details will be communicated as soon as these become known. We are cooperating fully with the authorities," the bank said.